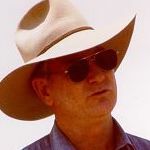 20 years ago, RCS introduced Dr Stan Parsons and “Grazing for Profit” to Australia. While it was and still is, a holistic approach to every part of managing a grazing business, it was cell grazing that created a significant amount of controversy. I was actually threatened by a senior Government officer that I would be put out of business if I persisted with bringing Parsons to Australia. I’m pleased we survived that onslaught. What do we have to reflect on and celebrate 20 years later? • The first 6 years of the 90’s were very tough with drought for five years and enormous opposition from the entrenched paradigms in some government departments and R&D corporations. We tried to get research conducted into cell grazing for three years but were informed that there would be no resources allocated to such ‘snake oil’. Twenty years on we are being studied by the research bodies and Ag Depts and about 17 years later, MLA decided to do some ‘research’ on cell grazing. • The popularity of Grazing for Profit accelerated from 1997 to the mid 2000’s throughout Australia to where over 5,000 people have now completed it. • We celebrated our tenth year with an international conference in 1999 by putting a lot of focus on soils, and introduced Dr Elaine Ingham’s “Soil Foodweb” concept to Australia along with Arden Andersen. A whole raft of biological farming practices has grown since that time and there are now four soil food web labs in Australia. • Bud Williams visited us for the second time in 2002 and Low Stress Stockhandling and KLR Marketing have grown from Bud’s visits. • We introduced the Hudson Institute and Brian Costello to Executive Link in the mid ‘90’s and many people have benefited from off-farm investing since. I am h appy that RCS has made a positive contribution to Australian agriculture over the last 20 years. However the question now is – what about the next 20 years? • Peak oil, peak phosphorus and peak water have enormous implications for agriculture as we move into this millennium, especially given the world population growth. We felt the effect of oil and phosphorus prices two years ago and we can now see the effects of lack of water on Australia’s foodbowl, the Riverina. • The looming carbon economy requires planning for, despite the deferral of the ETS. I always recall Stan Parsons talking about the lessons they learnt in Rhodesia when international sanctions cut off their oil supplies overnight. • The implications of how we produce food (e.g. nutrient density, all the “….icides” we are able to use, genetic modification, low Omega 3 and high Omega 6 levels in meat, etc) on human health are massive. Jerry Brunetti, a vet from the US, will talk about his own battle and victory over cancer and the role food played in this. • The potential roles of subtle energy in our lives and farming practices are mind boggling and is the current ‘crack-pot’ idea gestating within RCS that will become mainstream within the next 10 to 20 years. We have a UK physician speaking at the conference, who is an expert on these matters, and who will challenge some deeply held beliefs. We will also discover the magic of sound with Chris James and the link between Geomancy and production, from some producers. We have a great line-up of speakers to cover these big ticket items. As the brochure says…expect to be challenged, expect to be informed and expect to be inspired.